We’re jumping right into the list! If your favorite rapper didn’t make the list, or they’re not as high as you think they should be, read Part 1 [ https://www.thedriveonline.net/blog/2018/9/7/top-10-rappers-of-all-time-part-1 ] to understand what criteria I based the list on. KRS-One – Easily one of the greatest lyricist to touch the mic. Classic albums, and meaningful messages. Popularity, sales and longevity hurt the Professor when comparing him to other elites, but he should always be mentioned with the Top 10. Snoop Dogg – I’m not sure if there’s any rapper who’s managed to stay as relevant as Uncle Snoop for so long. He’s managed to drop a hit in every decade, with every generation. He’s a Hip-Hop chameleon; able to fit into every era effortlessly while not abandoning his unique artistry. Drake – No classic albums. That’s really the only knock Drake has. He doesn’t have a classic album. He has the longevity, the hits, the sales & popularity. But I think any rapper in the Top 10 must have at least one undeniable classic rap album. LL Cool J – Honestly, Cool James has been a part of every Top 10 All-Time Rapper list that I’ve made. This is the first time that I’ve had to drop him off. He hits every point that should be met: Classic albums, chart topping singles, BARS, longevity, and most importantly cultural impact. LL Cool J was Def Jam at one point in time. You can only have 10 Rappers in a top 10 list, that’s literally the only reason he didn’t make the cut. Andre 3000 – The Love Below is NOT a solo RAP album. This is literally the only reason I cannot place 3K higher than the #11 spot. If we group him with OutKast, 3 Stacks & Big Boi would absolutely be placed in the Top 10…possibly the Top 5. However, Mr. Benjamin doesn’t have a solo rap project. If you can buy The Love Below, without buying Speakerboxxx, show me where. A West Coast legend and a Hip-Hop Icon, Cube is one of two artists to have 3 certified 5-Mic Classic albums: Amerikkka’s Most Wanted, Death Certificate & Straight Outta Compton with N.W.A. You can’t deny his impact on the game. He’s one of the few rappers of the 80’s that are just as recognizable now as they were during their peak. Yes, he’s crossed over into film but his music continues to be played and referenced by each new generation of Rappers. Wayne took LL’s spot for me. In theory, the lack of “substance” in Weezy’s music causes hesitation when placing him so high. However, stepping back and unbiasedly analyzing what he’s done in his career, there’s nothing to dispute. No one has ever had, and probably never will have a run like Wayne did from 2005-2009. He was on every song. It was an honor to have Wayne do a verse on your song and place it on his mixtape. Jay-Z even claimed that Lil Wayne was the best rapper alive for a period. No trash verses for 4 straight summers and Tha Carter III still did numbers artists weren’t doing any more. As for impact, he gave us Drake, Nicki, the lighter flick, and almost single handedly reignited the relevancy of mixtapes. The God MC is without question your favorite rapper’s inspiration in some form. Whether its lines stolen from Rakim, his style, swag, gold chains, or gold teeth, rappers can trace their lineage back to Rakim in some way. Rakim and Big Daddy Kane pioneered the change in rap and how we know it today. Rhyming multiple syllables and switching flows from the simpler patterns as their predecessors. If it wasn’t for Rakim, this list would look completely different! I use to consider Eminem Top 5 and I’m not mad at anyone who still does. However, album quality means something. He has multiple classics, but his most recent efforts have not met expectations. Of course every rapper has bad albums but this list is splitting hairs really. Em has multiple classics albums, chart topping singles, and he is the highest selling rapper of all-time. His biggest attribute is his lyricism though. He can out-rap just about anyone. As lackluster has some of his albums have been the past decade, his skills with the pen are as sharp as ever. This is probably the hardest placement. It seems like an unquestionable fact to place Nas in the Top 5 All-Time. Nas has the longevity. His Life is Good album released in 2012 is still one of the best albums I’ve heard, especially from a veteran artist. God’s son has the lyrics. Not too much needs to be said but to listen to Rewind. And of course, Nasir gave us arguably the best Hip-Hop Album ever made in Illmatic. However, the inconsistency in album quality and lackluster commercial success leaves more to be desired. This is a big leap. My heart is saying “Too soon! Reconsider!” but I read some literature on the subject. On paper, this shouldn’t be a surprise or a shock. 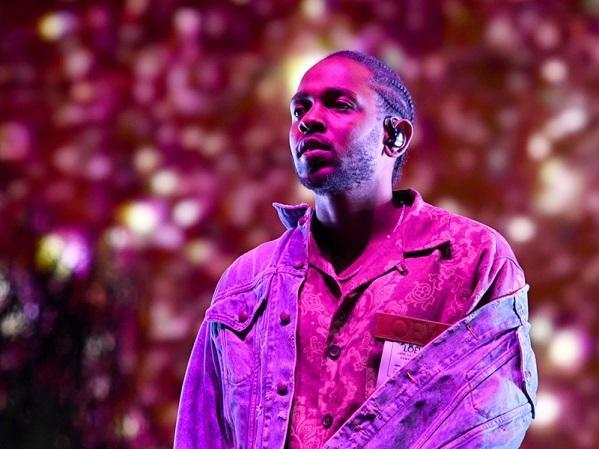 Kendrick's first three albums out of the gate: An outright classic for a debut, followed by a critical masterpiece for a sophomore album, and a Pulitzer Prize winning third studio album. This track record is rivaled by only one or two other artists, which are both on this list. Kung Fu Kenny’s flow and pen are superb. The amount of commercial success is abnormal for the critical darling and message that he puts in his music. Kendrick is truly an outlier. I know some may claim that it’s too soon for Kendrick to be mentioned this high, or even placed in the Top 10. Time is his friend and enemy. The longevity compared to his peers in skill is not equal to the length of his career at this point. But if the momentum continues for K. Dot, there’s a chance that he moves even further up this list. Let me explain. Remember the criteria the list is based on: Album Quality, Longevity, Lyricism, Cultural Impact, and Sales/Awards. Kanye’s first 5 albums are some of the best Hip-Hop albums put out. He shifted the culture of Hip-Hop with his debut, inspired some of the most popular artists we have now with 808s & Heartbreak, and moved the genre toward pro-black luxury rap with his joint album with Jay-Z. Yeezy is tied for most Grammys for a rap artist with 21 wins. Ye has been relevant for over a decade. Lyricism is the biggest slight against him. He isn’t known for writing his own music, but his production supersedes all of that. It’s hard placing him so high due to his recent political voicings and sudden drop in album quality. But even during this time, he’s changed a lot of people’s views on album length. The 7-track album series he dropped this summer has shifted the desire from 20 track albums to shorter ones. Maybe not just 7 songs, but no more than 12. He’s still impacting music. However, what he did for music from 2003-2013 alone more than earns him a spot in the Top 5. Personally, I prefer Biggie over Pac. Unfortunately BIG was only able to give us a couple of albums. Had he been around longer, his lyrical ability would have given him the edge in that debate. His legend, his talent and his impact in such a short span of time is why so many people tout him as one of the greatest of all-time. Two classic albums, arguably the best flow and rhyme scheme rap has ever heard, timeless hits and influence. You honestly could argue that Biggie is the best to ever do it. If lyrical prowess provides the advantage in favor of B.I.G., longevity and cultural impact highlight the argument on the side of Pac. It’s been over 20 years since 2Pac’s death and to this day, he’s influencing artists. Rappers want to be like Pac the same way ballers wanted to be like Mike. Pac inspired the Kendricks, Coles, and Wales of the world. His inspiration alone would put him in the Top 15. He has classic albums, unforgettable songs, was the highest selling rapper ever (by a lot) for numerous years, and could really rap. He truly moves the crowd, whether on the dance floor, politically, or emotionally. This is obvious. 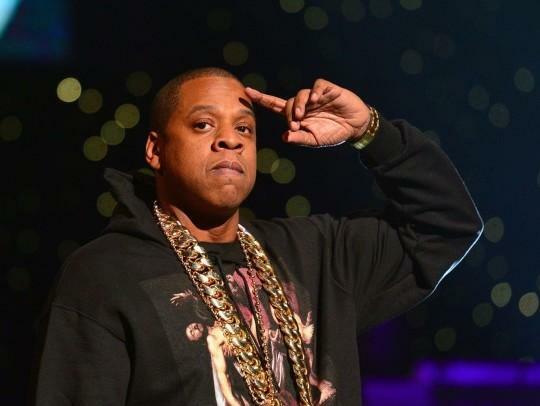 It’s pretty much a solidified, undisputable fact that Jay Z is the Greatest of All Time. There’s no knock against him. No negatives or doubts you can place. Any one thing that another rapper may be better at, he’s the superior in at least 3 other categories. Eminem may be more lyrical, but Hov has better albums. Snoop might have lasted longer, but Jigga sold more records & won more awards. While Kanye has a more critically acclaimed discography, Shawn Carter is rapping circles around him. Jay Z’s influence has lasted decades. No other rapper has been as talented, respected, relevant and impactful for as long as Jay Z has. He’s shifted the culture multiple times. He’s continually put out amazing bodies of work. He has given your favorite rapper, (except Em) an L with a smile on his face. The crown belongs to Hov and has belonged to him for a while. He said he was the best rapper alive when he retired back in 2004, and he was. He came back, reclaimed his spot and became the best rapper dead or alive. I don’t see him losing that title any time soon.